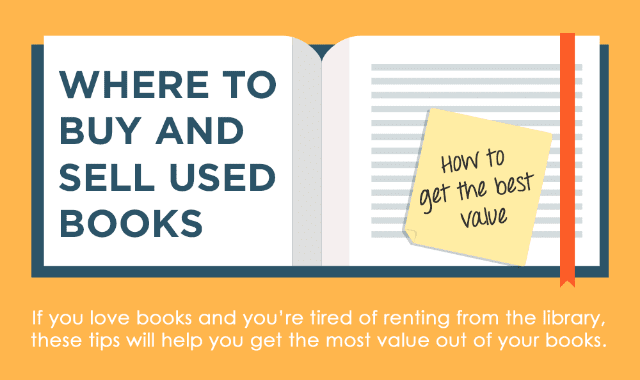 Where to Buy and Sell Used Books: How to Get the Best Value #Infographic ~ Visualistan '+g+"
You’re a bibliophile — you love everything about books. But you’d rather own books instead of going through the rigmarole of renting from the library. This infographic will give you a few tips to get started on buying and selling books.